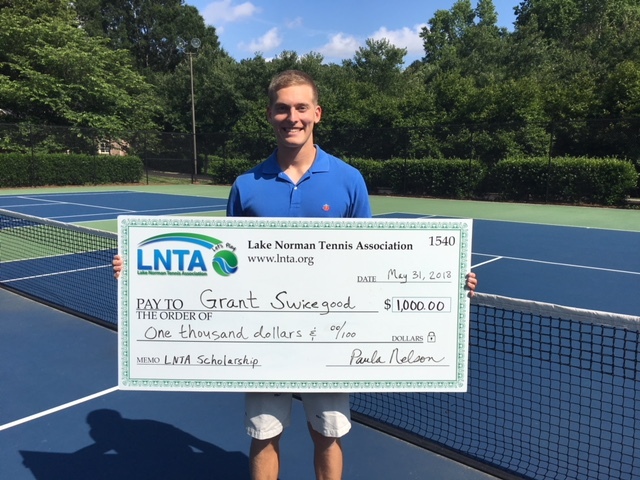 Once again, LNTA is pleased to announce the opportunity for Lake Norman area tennis-playing seniors to apply for one of two $1,000 scholarships. High school seniors are invited to apply, and the awards will be presented by LNTA. *The deadline to apply each year is APRIL 30th. The seniors selected for these awards could be playing on a school team, in tournaments or USTA Junior Team Tennis. 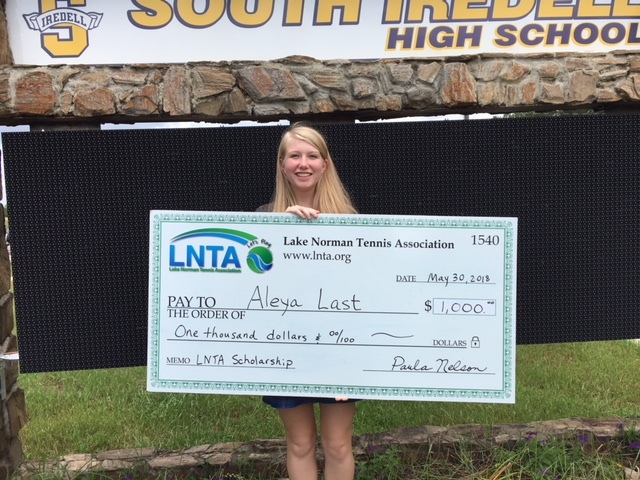 LNTA is not seeking the best tennis players in the area to receive these scholarships, but for students who actively participate in competitive tennis and community activities in the Lake Norman area. A scholarship selection committee is formed each year to review the applications and select the recipients. If you’re interested in volunteering to serve on this committee, please contact Amy Brandon at director@lnta.org. 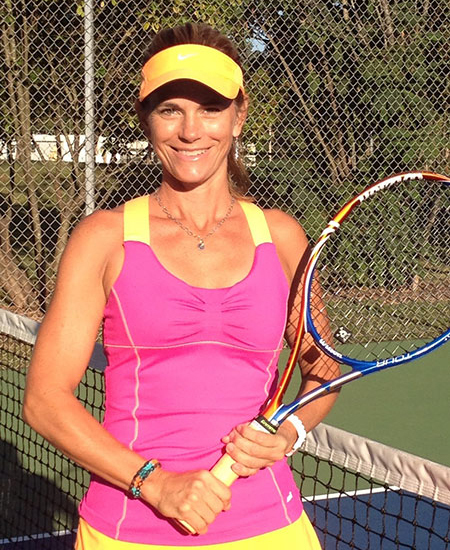 Each fall, LNTA hosts the Acetoberfest Tournament, a one-day adult doubles event. Proceeds from this tournament are used exclusively to fund the LNTA Serves College scholarships. Congratulations to the 2018 winners: Aleya Last (South Iredell High School) & Grant Swicegood (Lincoln Charter School). They were selected by a scholarship committee for their academic achievement, as well as their outstanding service to the community. Their award pictures appear below. The Mark Friday Memorial Scholarship was established in 2017 by Mark’s family, friends and USTA teammates. This $1,000 scholarship will be awarded to a Lake Norman area high school senior by the Mark Friday Memorial Scholarship Foundation, a 501(c)(3) foundation. It is the Foundation’s expectation that a recipient’s $1,000 scholarship will be renewed for four years as long as scholarship recipients maintain an acceptable GPA and are making progress toward a degree. The 2017 Mark Friday Memorial Scholarship was awarded to Sydney Zarsadias; this scholarship was renewed in 2018. 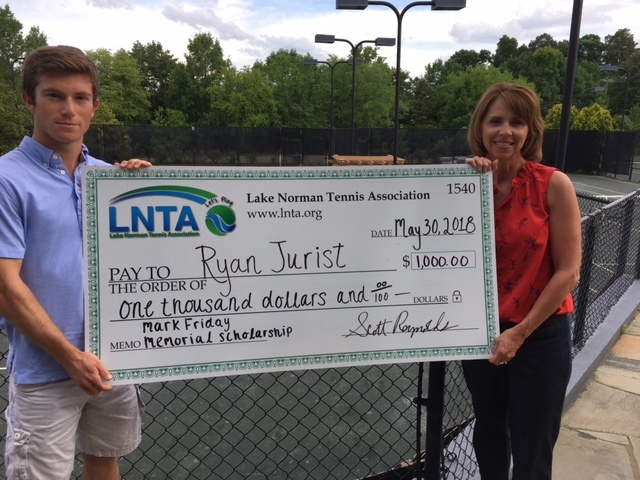 The 2018 Mark Friday Memorial Scholarship was awarded to Ryan Jurist (Lake Norman High School). Ryan is pictured below with Nancy Friday. The North Carolina Tennis Foundation is proud to support high school tennis by offering the following grant and scholarship opportunities. Emily H. Preyer Family College Scholarship – This $2,500 scholarship will be awarded to one NC Male High School Senior and one NC Female High School Senior. *Deadline – May 1. High School Team Grant – This grant provides support to high school tennis teams in North Carolina. Funds from this grant can be used for equipment, supplies, facility projects, and more. Please fill out all parts of the application and be as detailed as possible with your proposal. USTA Serves awards scholarships annually to deserving youth who have participated in United States Tennis Association (USTA) and / or other organized youth tennis programs.